Having lived in China for 6 years, I had the opportunity to celebrate Chinese New Year in a variety of ways, be it in the Yunnan country side with pig farmers (one of the best times I have ever had! ), in Shanghai with my fellow teachers (bought 50 large boxes of fireworks!) or, getting out of the country at its most hectic time for sunnier shores (hello Thailand!). 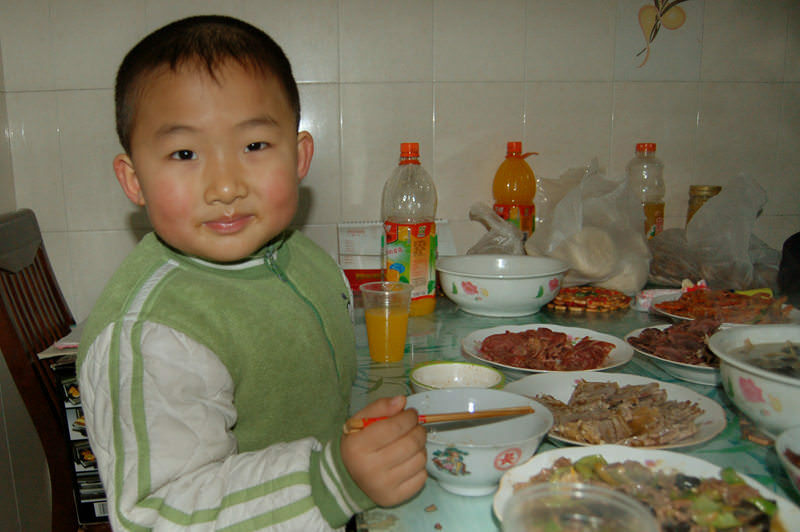 But my most memorable Chinese New Year was my first. I was invited by one of my student's parents to partake in the festivities at their home in Suzhou. Harry's parents had the misfortune of not being able to buy train tickets back to their native Heilongjiang in time, so they were stranded in Suzhou for the biggest event of the year. Harry's mom seemed a bit relieved that she did not have to travel during the largest human migration on Earth, and welcomed me into their small apartment on the eve of the Year of the Rat. I arrived in the early afternoon, and we got straight to the business of making as many homemade dumplings as possible. She taught me how to make the thick and juicy pork dumplings from her hometown, filled with chives and garlic. 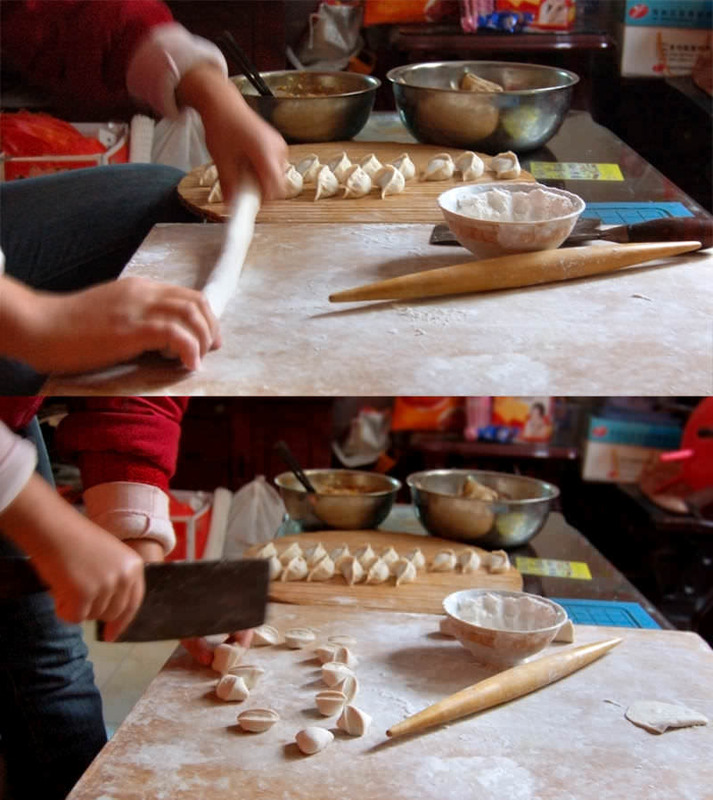 We rolled the dough out into thin patties, using a common Chinese rolling pin, basically a long, thin stick. Using a precise technique to seal the dumplings, in order to ensure they did not pop open when cooked, I made, oh about, 10 dumplings when she smiled at me kindly and told me to leave the dumpling making to her. Clearly my lumpy, under-stuffed, motley looking dumplings were not up to snuff for the biggest night of the year! I chatted and played with Harry, as he told me about all the money he was expecting to receive the next morning. When I asked him what he was going to do with his newfound wealth, he looked up at me, with the most earnest eyes, and said simply: "Well save it of course!". I couldn't help but marvel at the restraint of this little boy and the sheer sense of responsibility behind his decision making. He then informed me that the decision had not been his, but his mother's, and had he been able to do as he pleased, he would have bought Ultraman's bike ( all the rage in '08...if you were 6 years old) to ride around the neighborhood. When I asked him if he was sad about that, he replied that of course he was, but that he trusted his mama, and if she said he should save his money, then he would. Diner time came around, and I walked into the kitchen to find a table overflowing with dishes: braised ribs, vegetables sautéed in garlic, whole fried fish, steamed vegetables, and of course, dumplings. I couldn't believe it! How long had I been talking to Harry about sound fiscal investing and the cartoon Pleasant Goat and Big Big Wolf? Harry's mother caught me staring disbelievingly at the plethora of dishes before me and started to laugh. 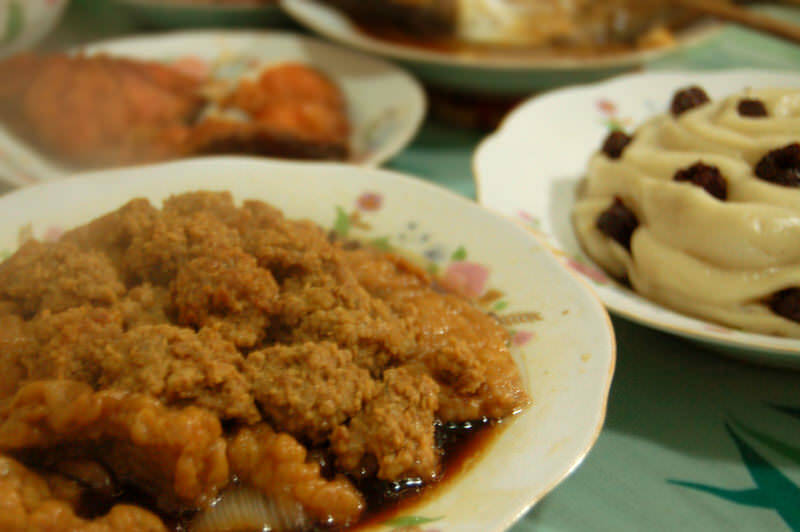 She explained that she had pre-cooked most of the dishes before I had arrived, they were all good lukewarm and that the dumplings would be the only thing served pipping hot. 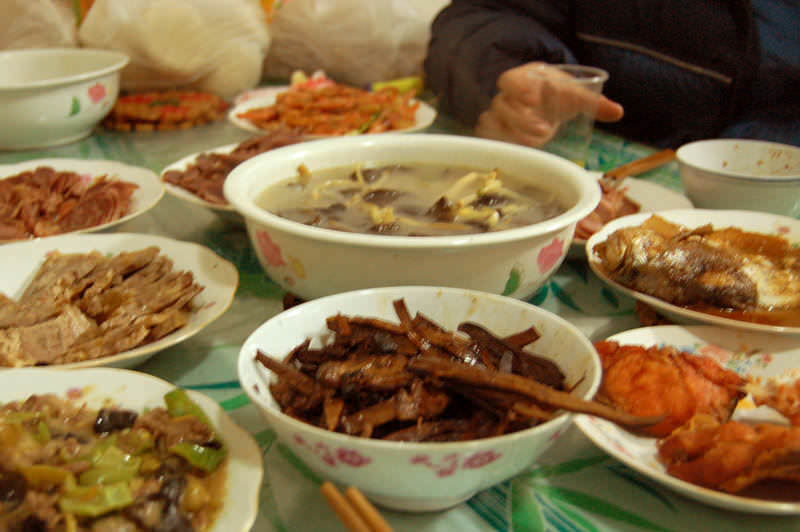 To eat a New Year's dinner with Chinese people means to sit at a table with food as far as the eye can see, even if there are only four people celebrating that night. We filled our bellies with some of the best dumplings I have ever had, the juiciest ribs you can imagine and drank it all down with the dumpling cooking water and a few shots of Bai Jiu, the foulest white liquor out there, but the traditional accompaniment to a New Year's meal. I then noticed that Harry was getting, well, agitated. He had long finished his meal, and was waiting impatiently for us to finish ours. When when finally/mercifully took our last shot of Bai Jiu, he started jumping up and down, yelling: "Fireworks, fireworks, fireworks!!!!". Well, it was clearly time for fireworks. We put on our coats as Harry's dad went to the hall closet and pulled out box after box of fireworks. 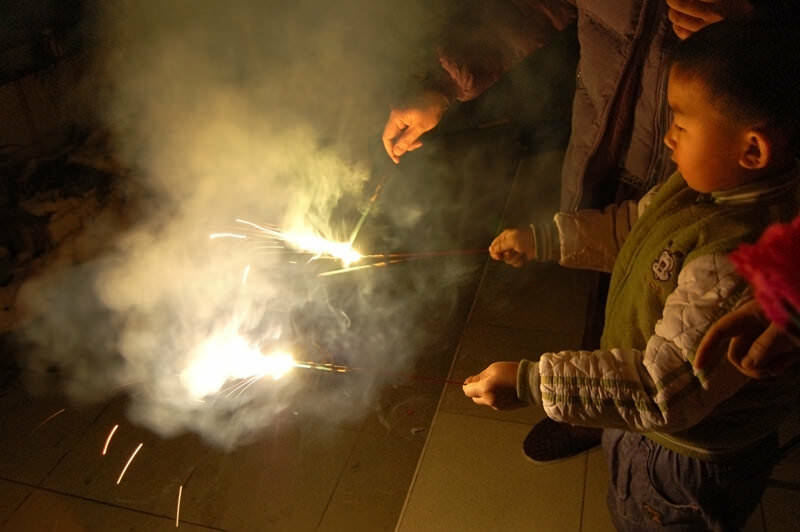 We went into the back yard and lit up the sky with fireworks, along with what seemed like all 6 million inhabitants of Suzhou. The sky was thick with light and smoke, and for a good 30 minutes, all you could hear were explosions, their sound ricocheting off the canals and skyscrapers surrounding the city. I was a little concerned that Harry's father kept smoking while setting and lighting the fireworks, the lit ash from his Double Happiness cigarettes falling on the large packages of fireworks he was carrying back and forth, but no one else seemed to be concerned, so I said a little prayer, moved on and enjoyed the spectacle of millions of people celebrating at the same time, ringing in the Year of the Rat with a thunderous cacophony. 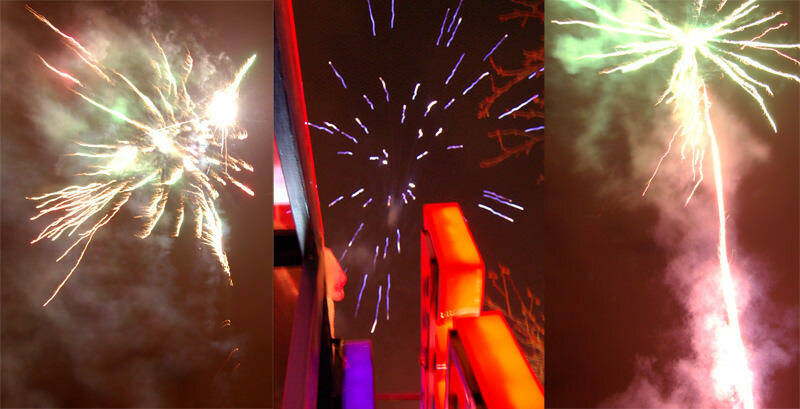 Chinese New Year will remain one of my favorite holidays, filled with food, drink, family and lots of fireworks. This will be my first Chinese New Year outside of Asia in six years, but I look forward to celebrating in Chinatown, stuffing my face with dumplings and surrounded by my friends and family. Here's hoping that you can do the same. 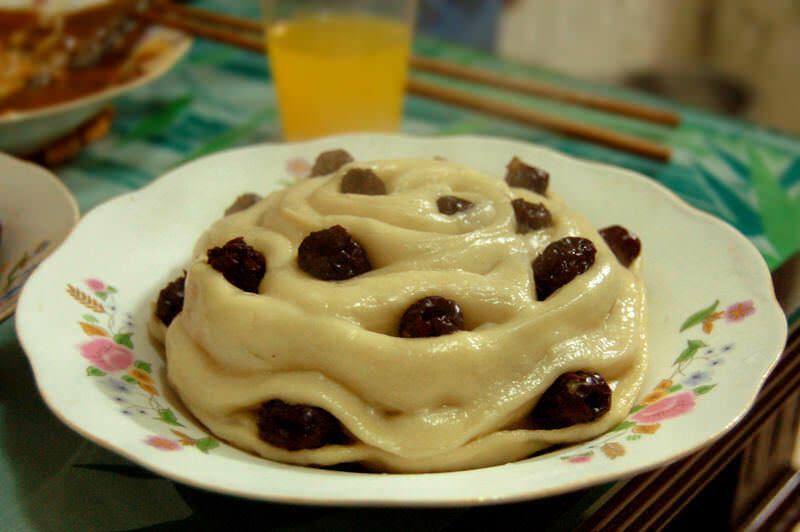 Xin Nian Kuai Le!!! Happy New Year!! Marika de Vienne literally grew up in her parents’ catering service, where she learned the finer points of cooking, spices, and service. She later helped open the family’s store in the Jean-Talon Market before leaving for China for several years to develop her understanding of tea. Today, she’s involved in just about every aspect of Épices de Cru, from plantation to store shelf and everything in between. Marika has a near-addiction to oolong tea, loves green cardamom and the cuisine of the American south.